Today we´re invited to lunch at our old neighbor in Grønland and I thought I should be taking something more with me besides the lemon curd. And what would be more suitable than scones? 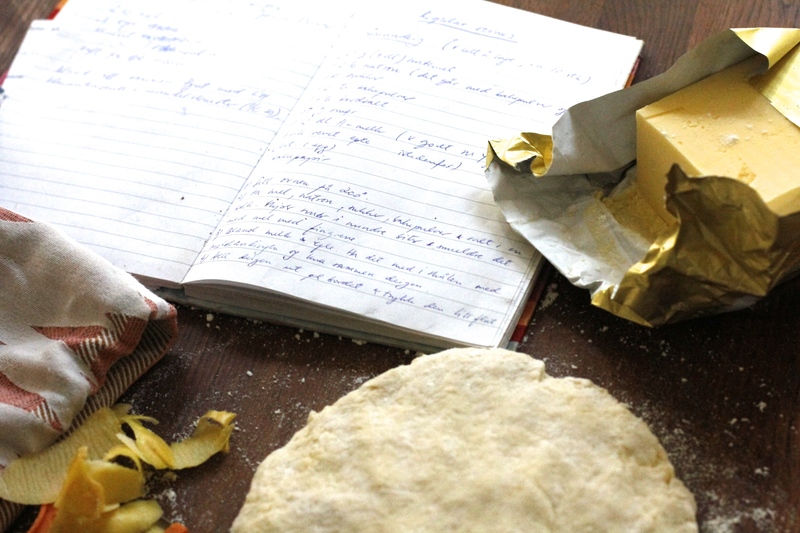 Besides, it only takes 20 minutes to make, including the baking time! 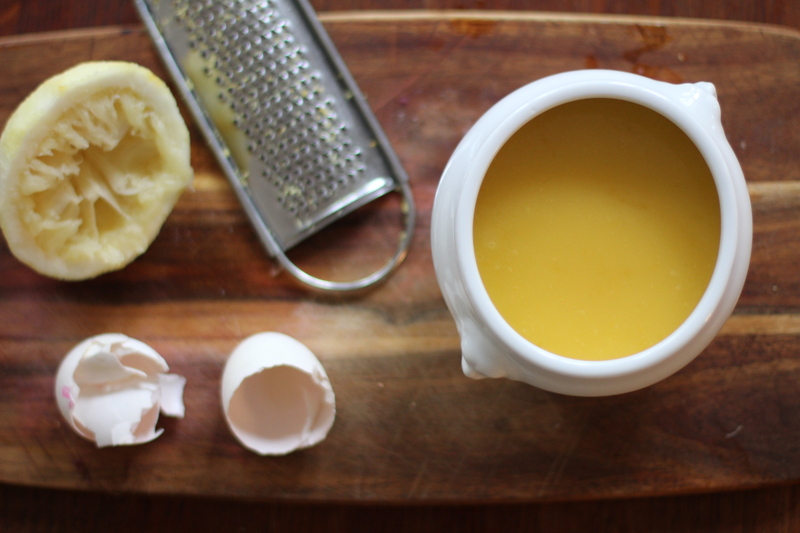 I started making lemon curd a few years back, curious to see what it was, since the recipe´s owner said she´d been living in England and could´t live without it! I´ve made it for Christmas ever since. I usually find some pretty jars around and give most of it away as go to-gifts or small Christmas presents. The rest we eat for breakfast with scones or on top of some Pavlova cake. This Easter we´re lucky to have 5 days off and I´m enjoying my first one today. I made the lemon curd and baked the meringue cake, tomorrow I´ll just be reading a book and eat out if the weather allows it. Wow! What a bold and colorful home! 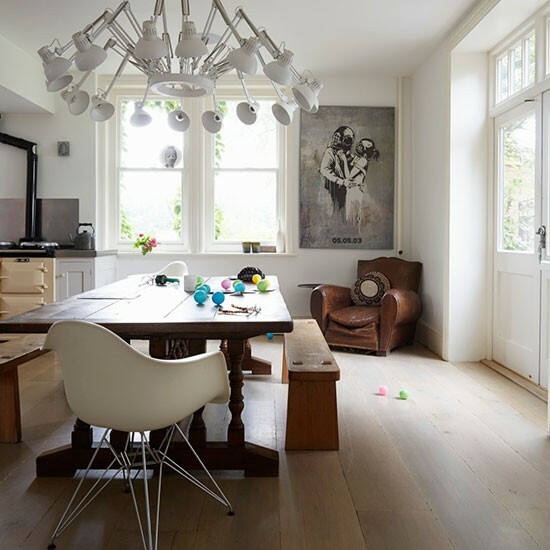 I love the art and the modern elements like the bike in the living room, although I´d never allow it in my own home! ;-) And I could only dream of a purple couch, since my husband believes our home suffers from too much woman touch already. Notice the vintage mirrors in the hallway, they play so well with the staircase. On the whole, the decor harmonizes with the house´s architecture. The best place must nevertheless be the large and airy kitchen with direct access to the terrace. And I would´t mind their bedroom, either. Just lovely! Fall is here, it´s been raining for a couple of days, both the drizzle and the heavy rain you associate with dark, cold days. Days when you don´t feel like getting out of bed. When only hot chocolate helps. When you start lighting candles again. I´m back in court and I love it for many reasons, but being able to wear office clothes is the main one. Call me superficial. So if in Oslo, you´ll see me bouncing around and being super busy in my preppy dresses or my androgyne trousers. I love Brooks Brothers shirts, my husband introduced me to them. And I love everything that´s silk or leather. Right now I´m loving Burberry Prorsum´s Pre-Fall Collection.